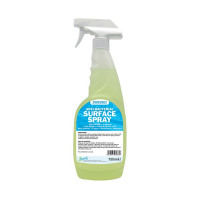 • Antibacterial surface sanitizer spray. 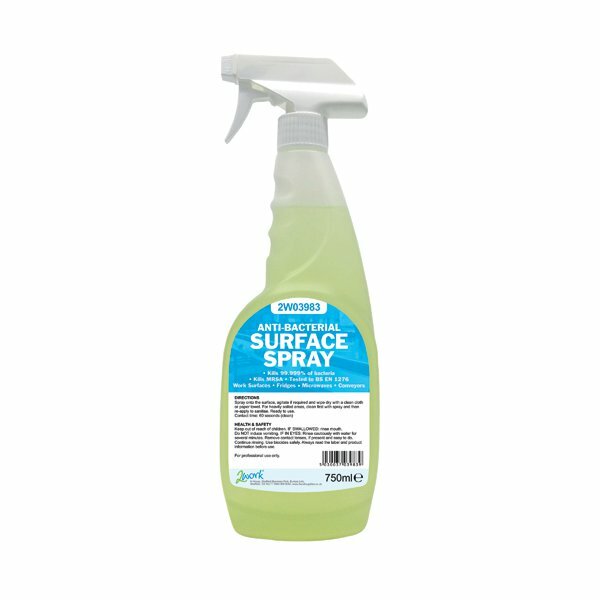 A quick way to safely disinfect surfaces, this 2Work Antibacterial Spray is ideal for use in environments like hospitals and professional kitchens, where maintaining a sterile environment is vital. Just spray on using the simple trigger pump mechanism and wipe off with a clean cloth to kill not only MRSA, but 99.99% of all bacteria. The handy 750ml bottle is a perfect size for stashing in your cleaning trolley or the cupboard under the sink. This pack contains 6 ready to use 750ml trigger sprays.